Doctor Who: The Snowmen airs on Christmas Day, introducing a new companion. Some clips and interviews can be seen in the video above. Another clip from The Snowmen above. William Shatner being The Master would be too confusing wouldn’t it? He’s Captain Kirk! It’s already confusing that there are now two Captain Kirks. But if I was considering it I wouldn’t tell you. I love William Shatner but John Simm is The Master… John Simm would beat [Shatner] up if he thought he was going to take that part. Matt Smith and Jenna-Louise Smith discussed how the Doctor met his new companion in the interview above. Has she any idea just how this will change her life? ‘Well,’ she says, ‘on one level it already has! I’ve been filming non-stop since it was announced, so my life has really been taken over by Doctor Who and nothing else.’ When she has had some free time, such as the occasional weekend, she has returned to the flat in London she shares with three of her childhood friends. ‘It’s refreshing,’ she says. ‘We all do different jobs now. I have to work the hardest at maintaining my friendships, though, because I am never around. I suppose my friends are very tolerant.’ She says the same goes for her relationship with her boyfriend, Richard Madden, the Game of Thrones star. ‘We both work hard,’ she says. ‘But he’s coming back from filming soon, so …’ She shrugs. ‘It’s good, work is good. 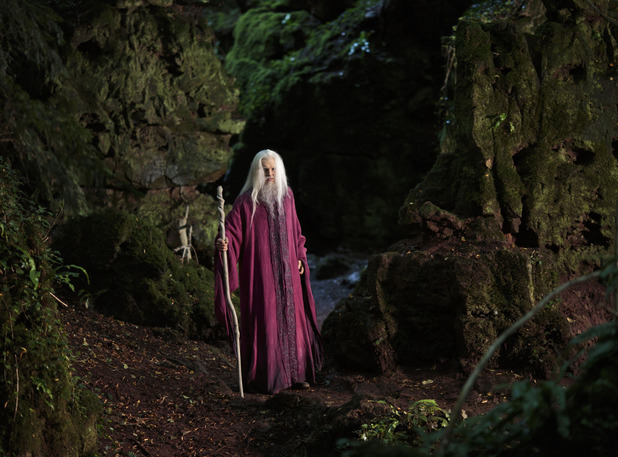 The Diamond of the Day, the two-part series finale of Merlin, received excellent reviews before it aired and another review can be found here. The series finale will air on Christmas Eve. 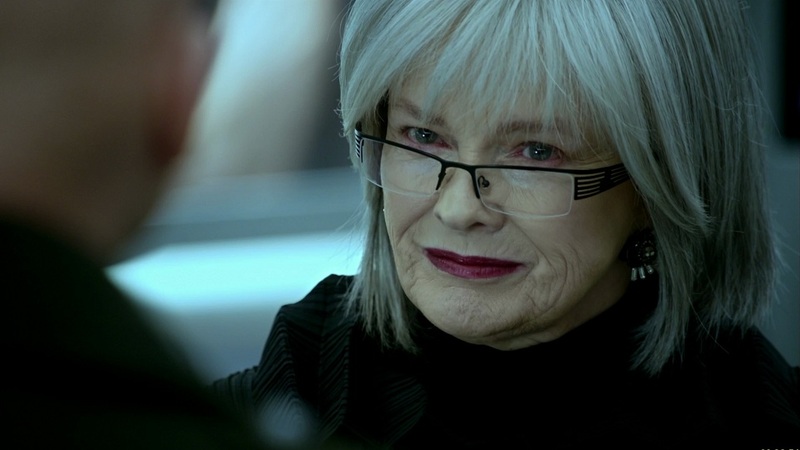 Fringe showed the end of Nina’s story, at least until a possible reset which was mentioned in the previews. While she killed herself to avoid interrogation by the Observers while hiding the child Observer, Nina would have been in trouble regardless of the events of this weeks episode as the Observers had already figured out that she was source of the concrete-melting device used in a previous episode. The episode also revealed that Donald and September are the same person, leaving questions as to whether September was once a normal human and how he became an Observer. Perhaps the arc showing Peter place the device in his neck was to set up the possibility of a human becoming an Observer. So this movie doesn’t require you have seen the first movie. The characters are a group of people who have recently come together and find themselves up against this incredibly terrifying force. His name is John Harrison and he is sort of an average – that is what makes him so scary – he is just an average guy who works in an organization called Starfleet, and he turns against the group because he has got this back-story and this kind of amazing secret agenda. After two very violent attacks, one in London and one in the US, our characters have to go after this guy and apprehend him. And it is a far more complicated and difficult thing then they ever anticipated. “Into Darkness” is very much about how intense it gets and really what they are up against. Dexter and Homeland concluded their seasons last week. Dexter is heading toward the end, which probably will not be good for a serial killer. Dexter has killed at least three people who do not meet his code before the season finale: someone he mistook for a killer in Season 4, the guy in the bathroom after Rita’s murder, and Hannah’s father. 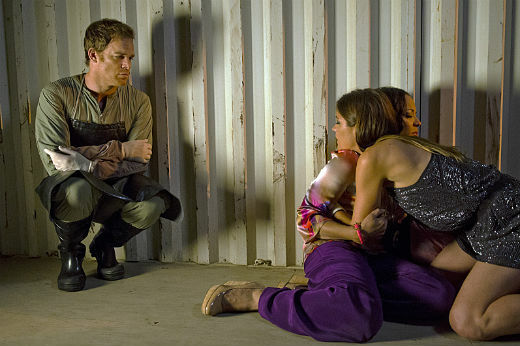 With LaGuerta, not only is Dexter willing to kill someone who is innocent but Debra pulled the trigger. Hannah (Yvonne Strahovsk) ominously left Dexter a black orchid after escaped policy custody, and the producers are hoping to bring her back for another season. Homeland left Brody on the run and presumably they will find some way to get him back into the main action next season. Perhaps he will find information on a terrorist plot while on the run, or perhaps it will turn out that he has more knowledge which the CIA needs to obtain from him. As he is using Carrie’s network, it wouldn’t be implausible for Carrie to track him down. Carrie already believes Brody is innocent. Saul should also realize that Brody was set up, knowing that the confession tape had been filmed quite a while previously and was in the hands of others. As Brody’s daughter believes that Brody did not plan a suicide bombing this time, room is left open for reconciliation with his family. It would be harder for Brody to publicly be seen as innocent. They certainly cannot say that the tape was made not now but before a previous planned suicide bombing. Perhaps the most plausible story would be that Brody had been forced to make this tape while still a prisoner, and broken to the extent that he would read anything. How I Met Your Mother has been renewed for a ninth and final season, dragging out the explanation as to how Ted met his wife for yet another year. Walking Dead has been renewed for a fourth season but Glen Mazzara, is leaving as show runner.